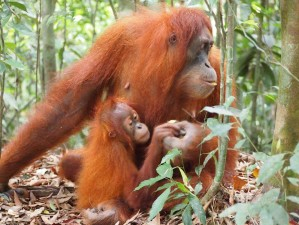 Want to See Sumatra Orangutan? Love nature and want to explore the local villages? Come on our 8 Day Sumatra Highlights Tour - including 1/2 day Sumatra Orangutan Trek, Hot Springs & Waterfall, School Visit, Cooking Class, Market, Village walk from Bukit Lawang to Batu Katak, with river tubing. DAY 1. Pick up from airport Kuala Namu. 4 hours drive to Bukit Lawang. Accommodation Sibayak Guest House. DAY 4. After breakfast, head off on 2 night trek to Batu Katak on the Landark River walk, visit Bat Cave on the way. 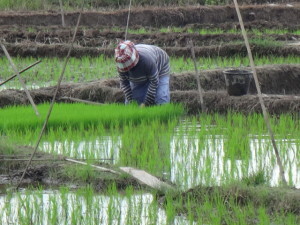 (Decide when there if want to go back to the jungle for a trek to see wildlife or just to do the walk along the river). Make camp on the Landark River at Batu Kapal and explore the surrounds, do some fishing and a night walk to spot animals. Overnight camp in Batu Kapal. DAY 5. Continue on trek to Batu Katak. After breakfast head off on trek to the Berkail River through rubber plantations, rice fields and country side to make camp for the night, relax and explore. Overnight camp at Berkail River. Day 7. Day in Batu Katak. A half day morning gibbon trek to spot wildlife (gibbons, monkeys and maybe orangutan) and village walk to see local village life, how to tap a rubber tree, gardens and local fruits. Afternoon to relax at guesthouse or explore the river. 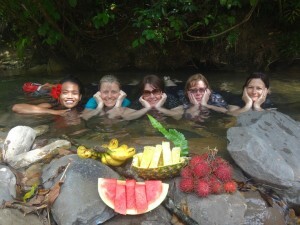 Optional caving adventure in afternoon or Rafflesia Flower trek if in flower. Accommodation Batu Katak Guest House. Day 8. Leave Batu Katak, morning school visit and Pack for a Purpose Program (if school day) on the way to the airport . Visit Grand Mosque and Palace on the way time permitting (approx 4 hour drive). You can add extra days to this tour for white water rafting on the Wampu River, an over night orangutan trek or aday trip to the elephants in Tangkahan. Note airport pickup and drop off can also be included with these treks the day before and after, just let us know if you would like this included. Extra days can be added if you have more time. Option 1. Full day trip White Water Rafting. Private transportation to Marike and the start of the 6 hour white water rafting journey. 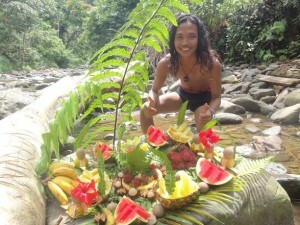 Enjoy a jungle picnic at a waterfall. 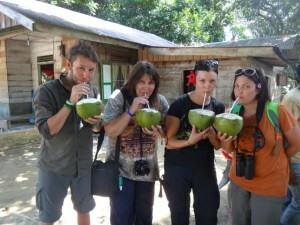 Journey ends in Bohorok, where you will be picked up and taken to overnight accommodation in Bukit Lawang Guest House. (Additional cost for rafting and nights accommodation).